Bowmore is one of the eight remaining distilleries of famous Scottish island: Islay. Islay Whisky is legendary due to many factors including the sheer volume of whisky produced despite the small size of the island. Bowmore whisky distillery is the oldest on Islay and is home to the oldest whisky maturation warehouse in the whole world. In other words, Bowmore is a legend amongst legends reigning as such for almost 240 years. It easily understood, therefore, why rare Bowmore whisky is so highly sought after, and worth a fair amount of money. 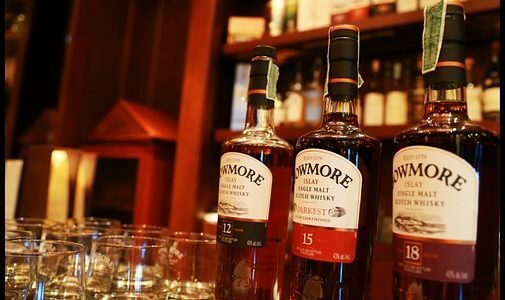 To learn all you need to know about Bowmore whisky and where to find it, continue reading this article. Before delving into the details of Bowmore whisky, you should, first of all, understand the significance of the Isle of Islay in the world of whisky. Folklore tells us that monks travelling from Ireland first brought the art of whisky distilling to Islay after realising the islands aptness for the process. Islay has an abundance of peat, which is partly decomposed vegetable matter), freshwater and barley, all of which are used in the distilling process. The conditions are perfect. To this day, the Islay peat is what gives Islay whisky its special flavour of faint sea air and seaweed. The very first record of the Bowmore Distillery was in 1779, however, it is known that founder David Simpson bought the land in 1766 and many older members of the Islay community will confirm that distilling started on Islay long before 1779. 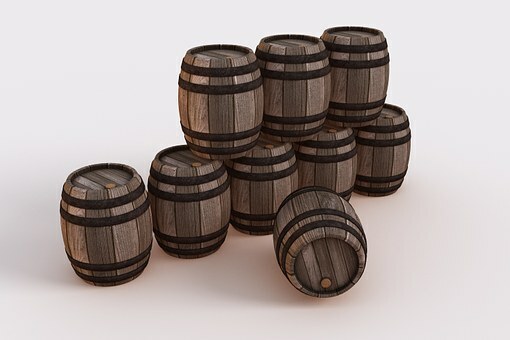 One of the many legends of Islay distilling is that although the tax man first started excising whisky in the 17th century, he did not even visit Islay for another 150 years after due to the barbaric reputation of the Islanders. Therefore, it is not difficult to imagine that perhaps Bowmore distilling was active for some time before it was officially recorded. Since the Bowmore whisky distillery is the oldest on Islay, there are many special bottles in circulation to this day that are worth a large amount of money. Rare whisky has become a highly coveted collectable over the last several decades, typically with the rule of the more unusual and scarce the bottle, the more it is worth. In 2012, the oldest Islay single malt was released: the 1957 expression. This malt was matured in the No.1 Vaults (the oldest whisky maturation warehouse) for 54 years. Only twelve bottles exist, making it incredibly rare. For those looking to purchase rare Bowmore whisky, it is important you know the reliable retailers. The Rare Malt Whisky Company is a specialist rare whisky seller, dealing only in authentic and genuinely rare whiskies. There is an impressive selection of Bowmore whisky on the website. Plus, this Scottish company offer a sourcing service through which you can request a specific bottling.